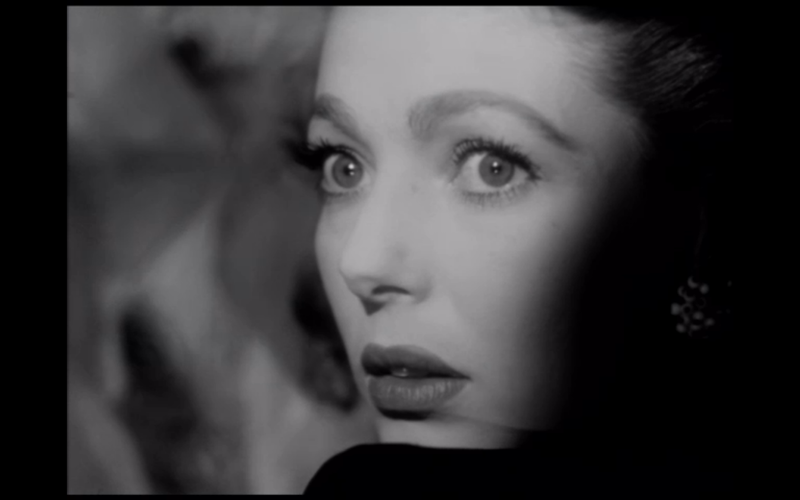 THE STRANGER—-Orson Welles called this his “worst” film, one in which he followed stringent studio requirements, and adhered to a set script and budgetary/scheduling confines. But while Master Welles might have felt this 1946 sample was served before its time, I think it’s a well-turned little suspenser, with enough of Welles’ directorial touches to credit. Superbly shot by Russell Metty, who angled his camera and shaded what it captured with a freedom few of his contemporaries were allowed. 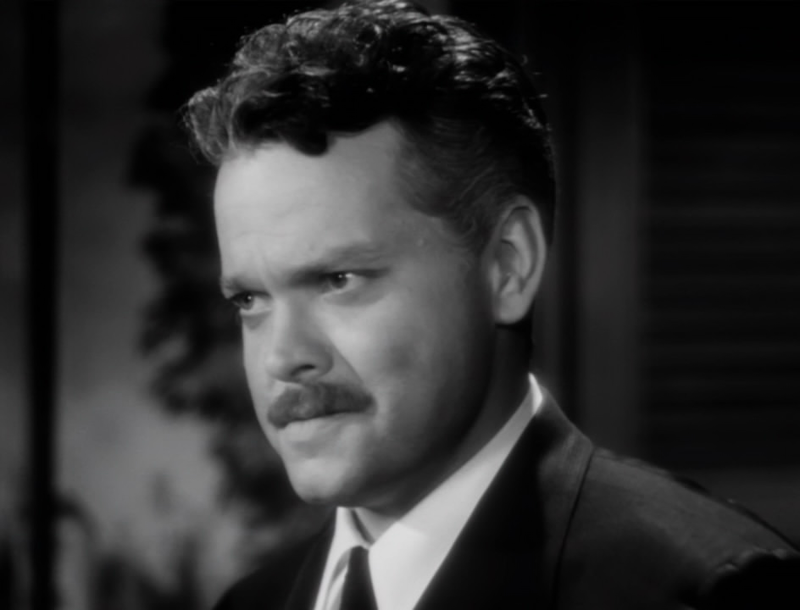 The engrossing, offbeat plot has Welles as an escaped Nazi war criminal passing himself off as a prep school teacher in a small town in Connecticut. 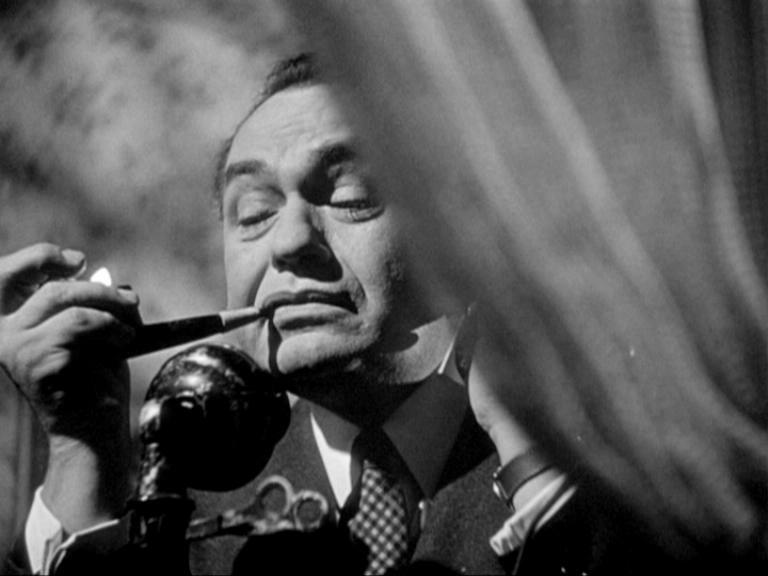 Loretta Young plays his wife, in for a little surprise, and Edward G. Robinson is the Fed on the fugitive’s trail. 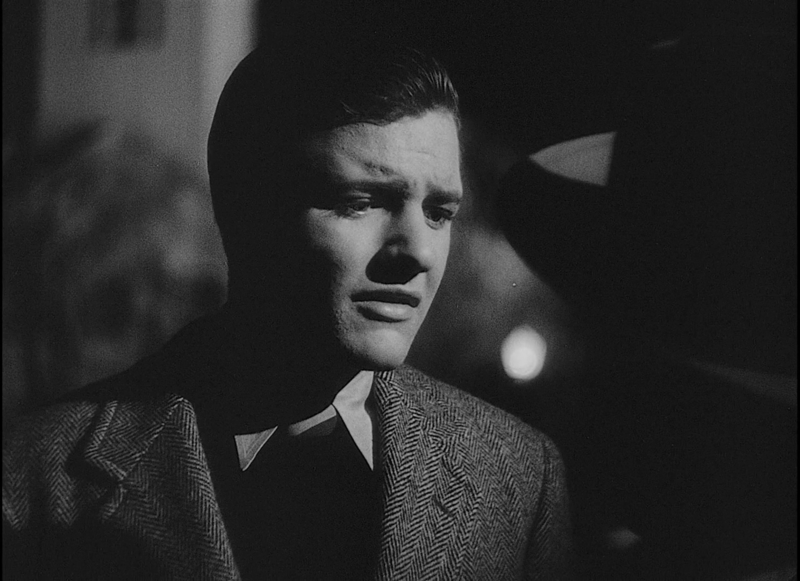 Fresh from Hollywood High, eighteen year old Richard Long is the wife’s brother, some decades before Nanny And The Professor. Young and Robinson are both very good, and Welles lets himself do some controlled hamming that’s persuasive and outrageous at the same time. John Huston had a hand in the script, though he passed on the credit, which goes to Anthony Veiller. The Academy nominated it for Best Story. Movie has a memorable finale. 95 minutes, featuring Philip Merivale, Konstantin Shayne and Billy House. 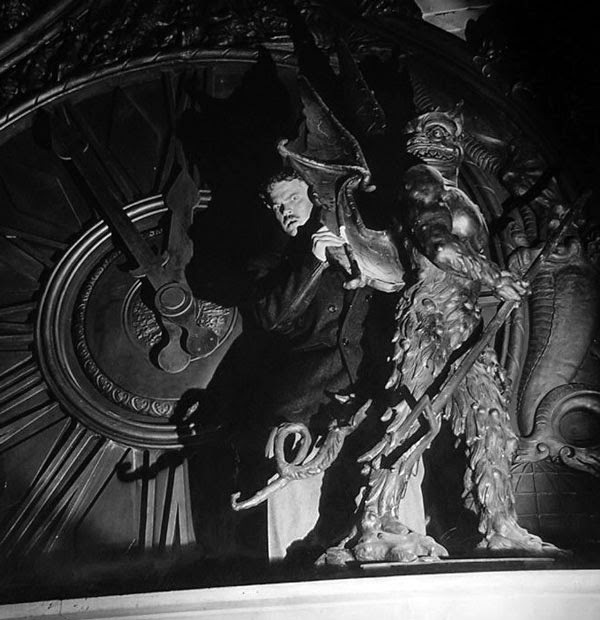 It was the only film Welles directed that came in ahead of schedule, under budget and made a profit ($3,200,000). It was also the first Hollywood film to feature footage from the Nazi death camps, which many people at the time still disbelieved. Ever astute cult movie maven Danny Peary points out that this is one of a number of movies from the period that have people suspecting that someone in their household are not who they appear to be, citing Gaslight, Shadow Of A Doubt, Suspicion,The Lodger,The Spiral Staircase and The Cat People. WW2 seems to have played some havoc with trust.